I absolutely love European city breaks. They are probably one of my favourite types of trip to go on, purely because each one is so different, filled with rich history and unique little quirks that make them so individually interesting. 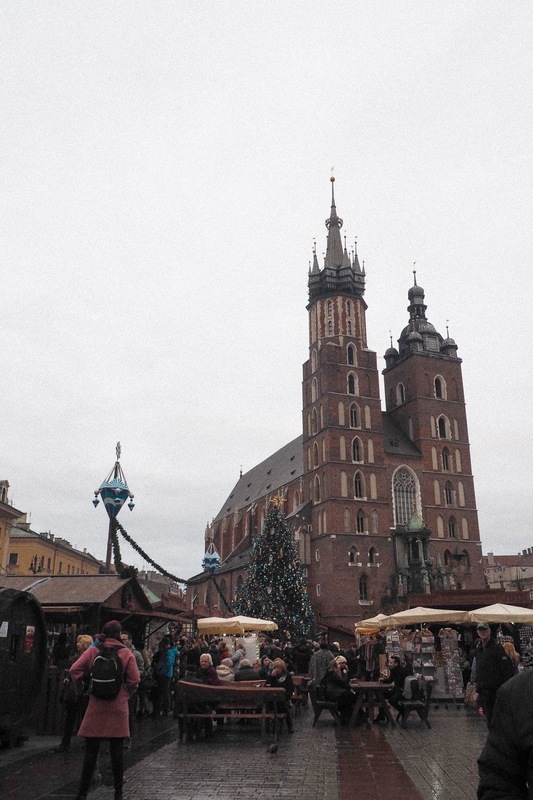 Krakow is one that has always been on my bucket list and I finally visited this wonderful city a few months ago. I sometimes feel that this city gets a bit of a bad rep in the UK, associated with rowdy stag dos and groups of people getting pissed and causing trouble. However, this is absolutely not the way that Krakow should be thought of; of course there will be a lot of this in the pubs and on an evening, but this city was absolutely beautiful, full of culture, history and some stunning architecture, not to mention the quiet streets and areas that are so full of amazing Polish restaurants, cafes and museums. For me, when I travel I don't necessarily mind about how fancy the hotel is. I mean, obviously if I can find a super nice hotel for cheap then I'll bloody well take it but it's not the be all and end all for me. I just want somewhere clean, affordable and in a good location. I picked out the LIV'INN APARTHOTEL from TripAdvisor and was thrilled with it. The interior is simple but super quirky and the location was just what we wanted to. It was about a 10-15 minute walk from the city centre meaning it was in a little quiet street and the walk to the centre was lovely (although it was so cold my face felt like it was going to fall off). Also, on an evening the walk didn't really matter as Ubers from the city centre to the hotel were so cheap, costing about the equivalent of £4-£8, tops. 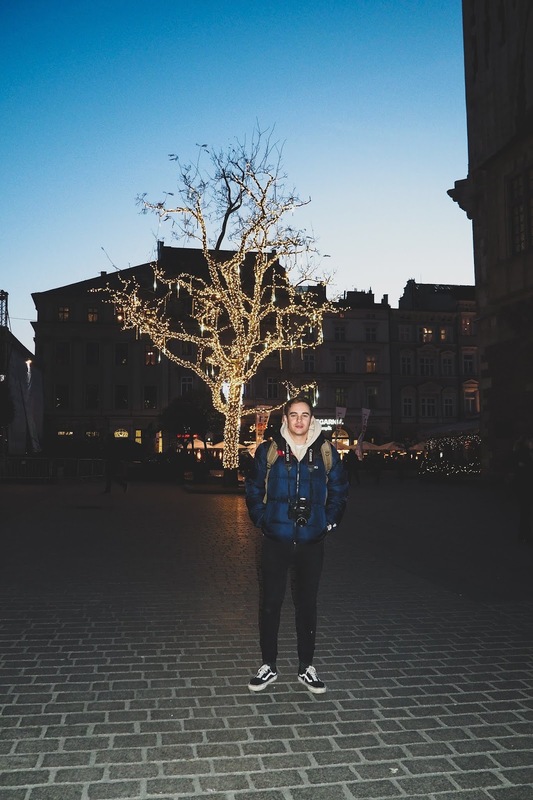 The hotel staff were really helpful in there too, offering to book excursions to the main Krakow attractions and asking us if we needed any advice on places to eat or where to go, which we definitely did when it came it to directions! We also got breakfast included with the cost of the hotel and it didn't disappoint either and had a lovely little buffet (I'm a sucker for a breakfast buffet! ), continental and hot food. In total for 4 full days in the city, it cost £250 pp for the flights and accomodation and I feel like this was so worth it for the quality of the hotel and the amount to do in the city itself, especially considering how affordable everything actually is once you're there. 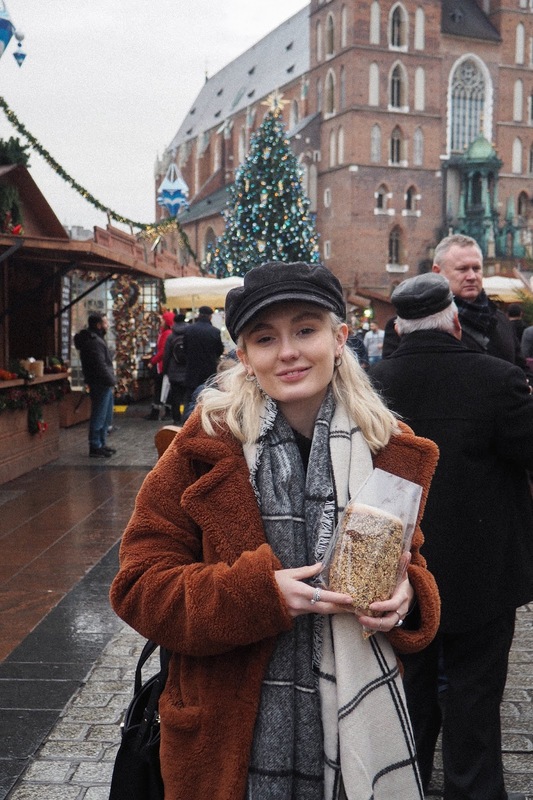 One of my favourite things about Krakow was how bloody cheap the food and drinks are and I was actually surprised at how much I liked the Polish food. I wish I'd taken some more photos of the places we ate to include here (this is not like me at all - normally I'll be setting up a photoshoot of each dish before everyone is allowed to touch their own food!) but I thought I'd do a short list of some of my favourite places we ate so you can try them for yourselves! This cafe was one of my favourite food places that we visited. All of the walls are transparent and the interior is so cool. 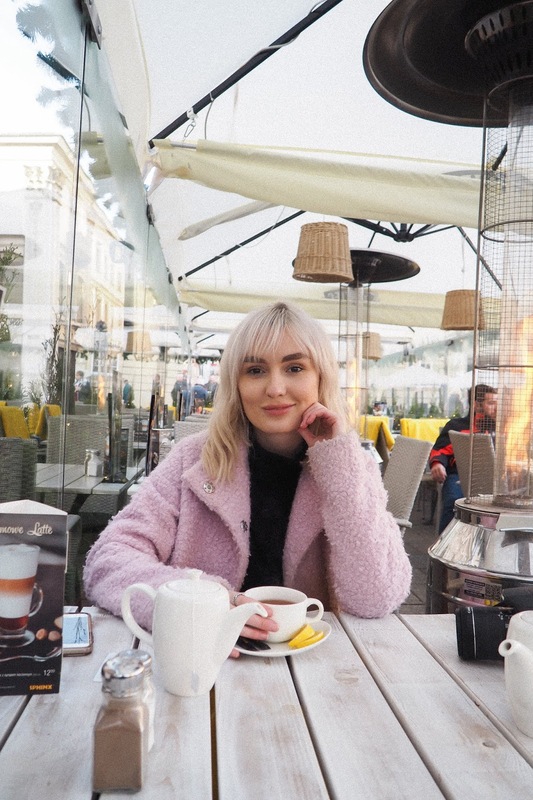 Because we went in the winter, the walls were all lowered but they raise them in the summer so that you're half outside and I can only imagine how lovely that is as this cafe is in Krakow's Planty Gardens. Their menu is perfect for a lunch stop; I had a cheese board with a Baileys Hot Chocolate and Andy had one of the soups and they were both lovely and so cheap too, about half the price of what you'd pay in the UK for the equivalent meal. The Cafe is also attached to it's own art gallery which is also super cool if you have a quick look in! I picked out this restaurant from TripAdvisor because I was desperate to try some of Poland's famous soup in bread and this did not disappoint. We had the onion soup and it came served in the "bread bowl" and it was absolutely lovely (and the pints were on point too!). This restaurant is a little bit more expensive than the others but still cheap by UK standards for what the food is like and with it's traditional decor, it's definitely more of an evening meal place rather than a quick lunchtime stop. 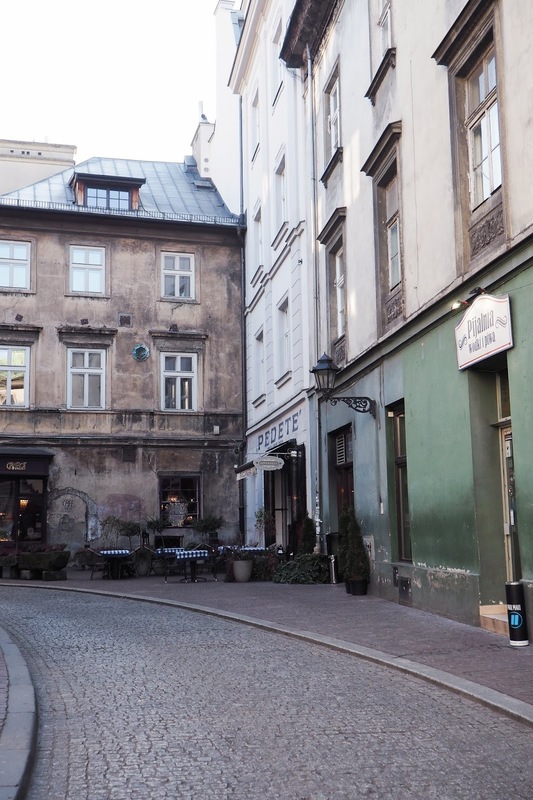 This little gem is in the Jewish Quarter of Krakow and we went here for breakfast before exploring. I loved this place. The interior is right up my street - super cool but also cosy and laidback and to make it even better, there was a cute lil pooch sat on the seat next to me which I obviously immediately befriended. There's amazing artwork all over the walls with full sections covered in painting and the food was amazing. I went for the superfood breakfast with banana bread, smoked salmon, poached eggs and avocado (yes I have reached peak millennial) and I couldn't fault it at all. Okay so I'm not being dramatic here AT ALL but this was seriously the BEST motherfucking pizza I have ever eaten. No word of a lie. I loved it so much we went back twice. 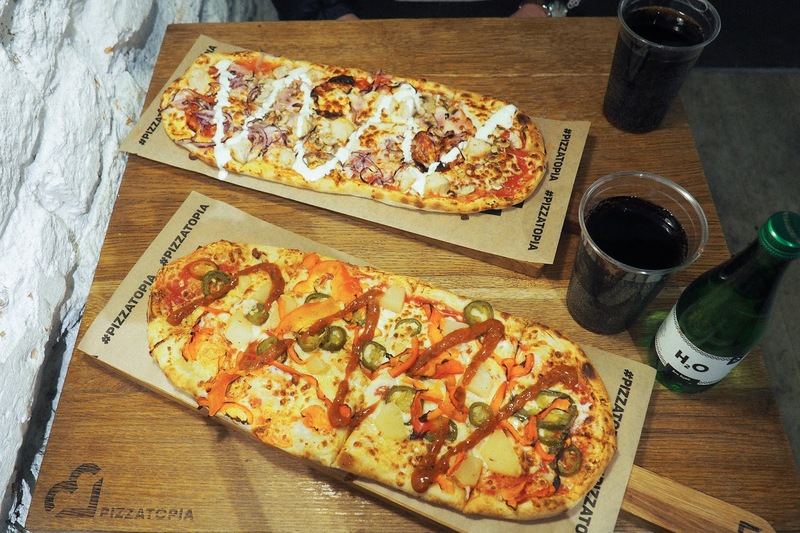 Pizzatopia is a laidback pizza bar where you create your own pizza and they make it in front of you and then bake it in their pizza oven and honestly, I have no idea why it's so good but it IS. If you love pizza you have to visit here. It's so cheap too and has a really nice vibe to it (and is next door to a cute cupcake place for dessert too) - take my word for it, you will not be disappointed. In Krakow, I guarantee that you won't be bored. There is so much to see and do and we didn't even get to do everything that I had on my list in the four days that we were there. 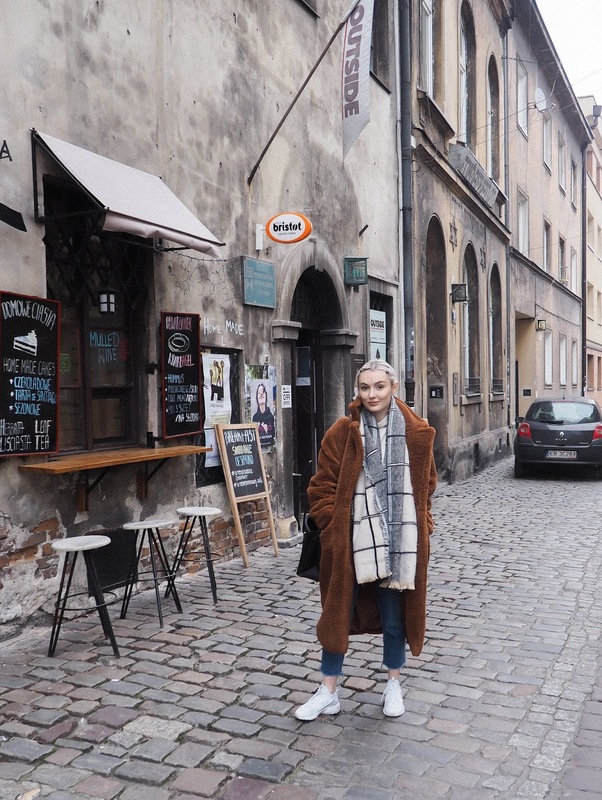 There is so much history and culture in this city and out of all of the European city breaks that I've been on, I feel like Krakow is the one I actually learnt the most from and in my list below, you'll see why. 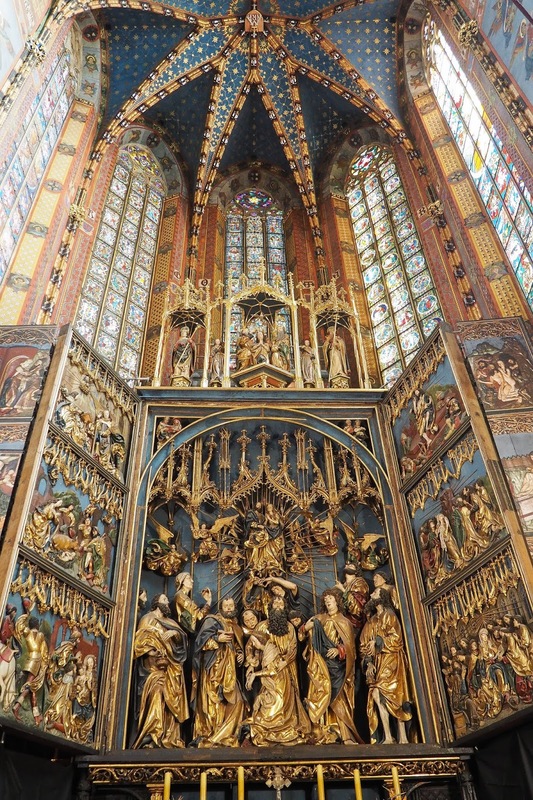 St Mary's Basilica is a beautiful gothic church that sits in Krakow's main square. This famous building is absolutely stunning from the inside and the outside, with amazing architecture and on the outside and stunning bright colours and art on the inside. I'm always overwhelmed by the inside of buildings like this. I'm not religious but I can't help but admire the sculptures, the ceilings, the painting and everything else inside these buildings. You can also climb to the top of the tower to get some beautiful views of the city, something which is not to be missed! Kazimierz is the Jewish Quarter of Krakow and you absolutely have to explore this area if you're in the city. 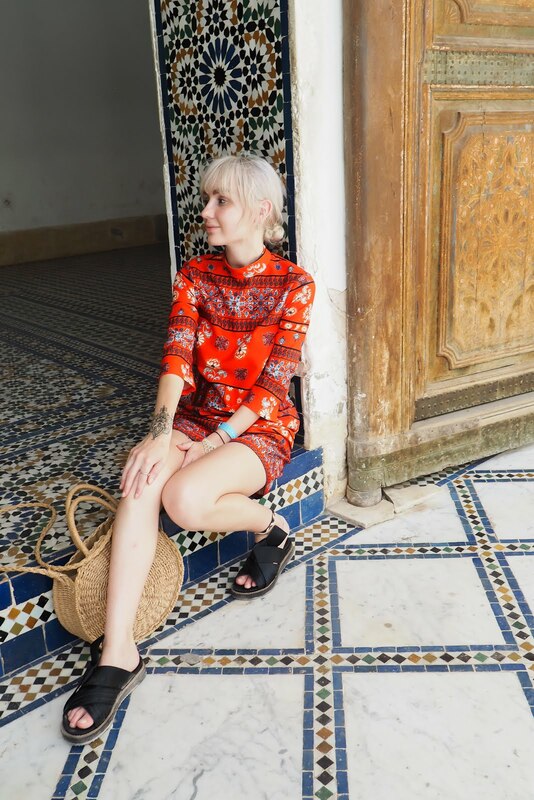 It's full of incredible street art, cool and quirky food places, amazing art galleries and has an all round amazing atmosphere and vibe, full of history and culture. 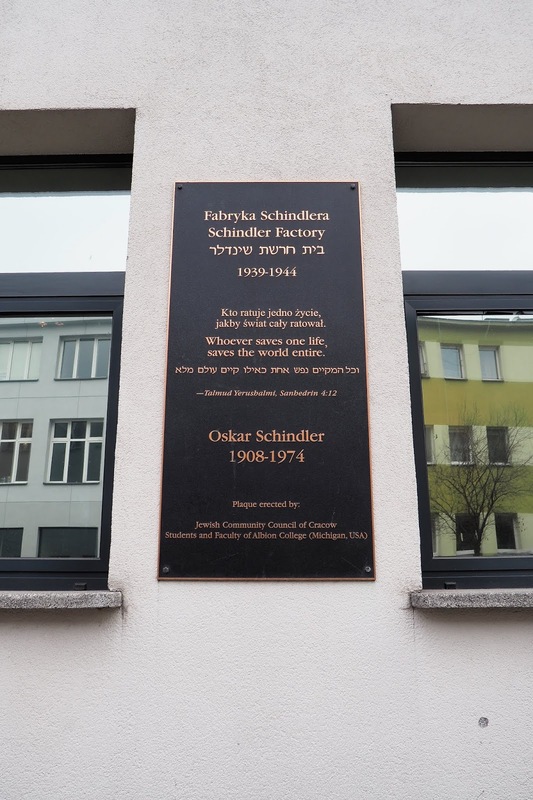 Everyone knows the story of Oscar Schindler thanks to the movie Schindler's List and in 2010 the factory re-opened as a museum. The museum tells the story of Schindler and how he saved the lives of over 1000 Jewish people during WW2 and it is so interesting, at times heartbreaking and overall it's so educational. There are interactive displays, artefacts, videos and more and it's well worth a visit. I would definitely recommend booking in advance as there were a limited number of tickets available throughout the day and we had to wait in a queue of about 40 minutes which is not ideal when it's -8 degrees! This museum is right next door to Schindler's Factory so you can see both in one day. 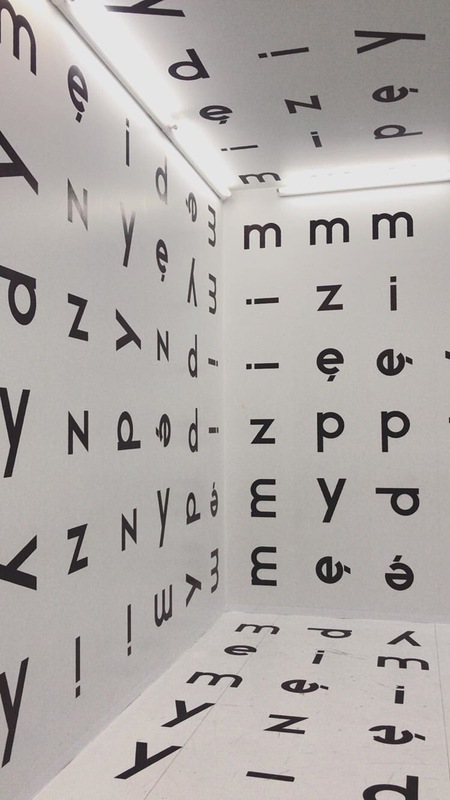 I loved this museum and could have spent hours wandering around looking at it's exhibitions of modern artwork from the last 20 years, from both Polish and European artists. Even if you aren't normally into art museums then this is one that you should visit. The art is so interesting and isn't like anything I've ever seen before and there is definitely an exhibition for every taste. 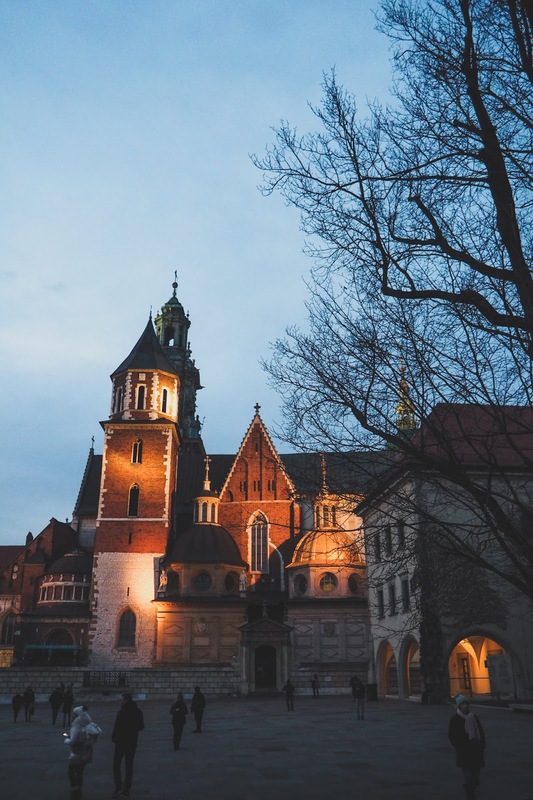 We didn't have a lot of time left at the end of our trip to explore the full offering of Wawel Castle and we really only saw inside the grounds and the church on the site but if I had the chance again, I'd definitely explore more. The Castle is huge and has a huge museum on the inside to teach about the past kings and queens of Poland! The Main Square of the city is so beautiful, lined with shops, cafes, museums and everything else you could think of. 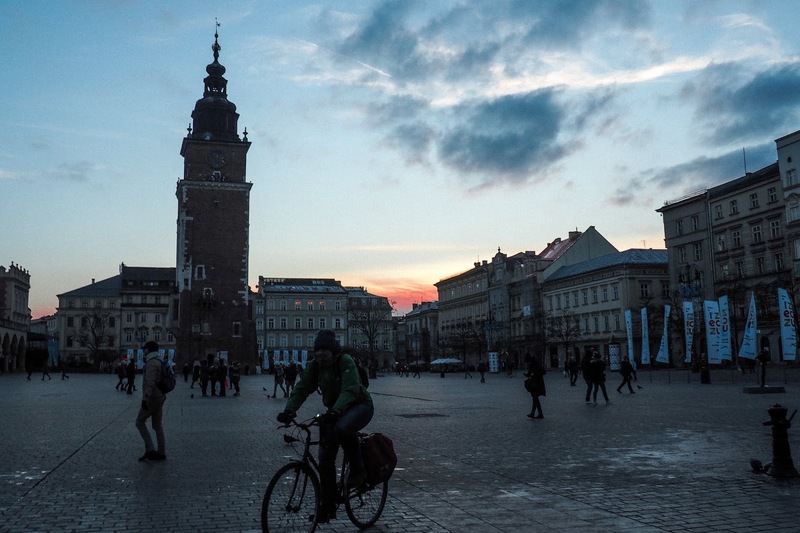 There are towers to climb, hidden museums to visit and fabulous places to just watch the world go by in Krakow. 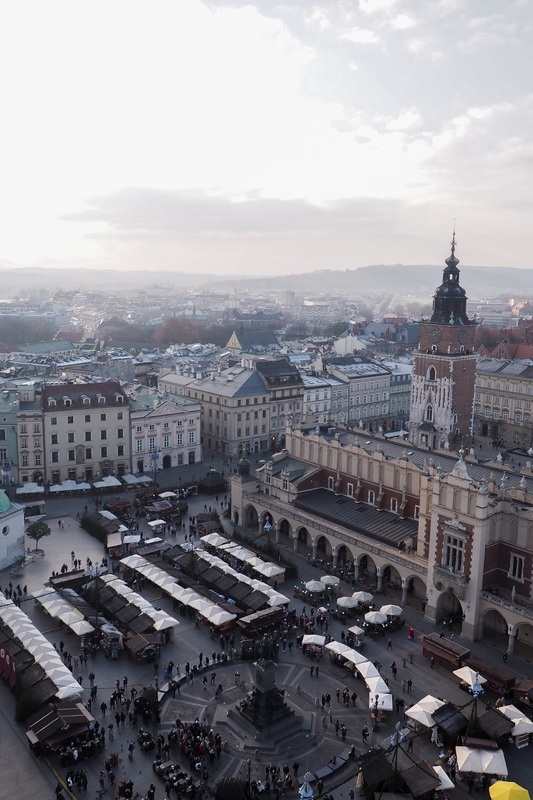 The Cloth Hall sits right in the centre and this is full of market stalls with little trinkets that are literally so cheap if you're looking for cute souvenirs and there's a museum actually underground here too called the Rynek Museum which tells the story of the Cloth Hall's history. This was definitely my favourite part of our trip to Krakow. Obviously, you have to go in winter to experience this but it's something I would 100% recommend. 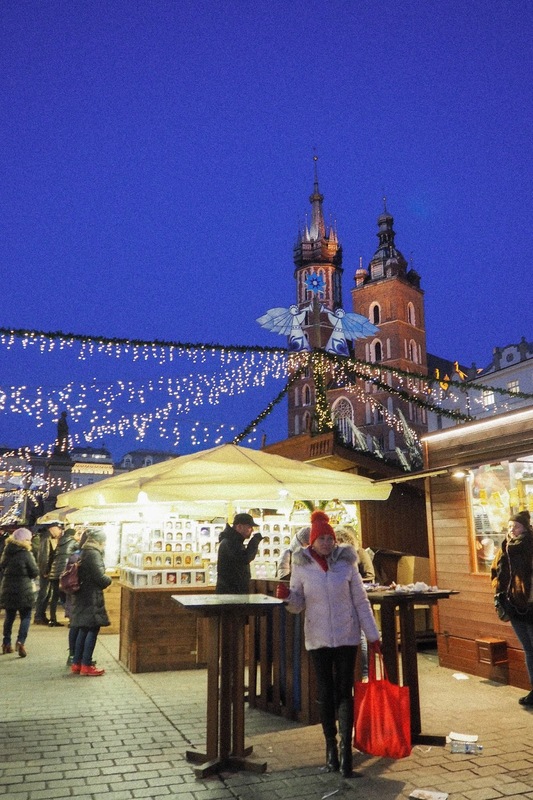 I'm a sucker for Christmas markets and have been to quite a few during my travels including Paris and Budapest but I think this one was my favourite of them all. It's all held in the Main Square and is really huge, with stalls everywhere. They sell little trinkets and souvenirs, Christmas decorations and homeware, coats, hats and everything else you could think of. There's Bailey's hot chocolate, chimney cakes and hot food plus a huge Christmas tree, fairy lights and live performances. We went here every single night of our trip because we just couldn't get enough of it. 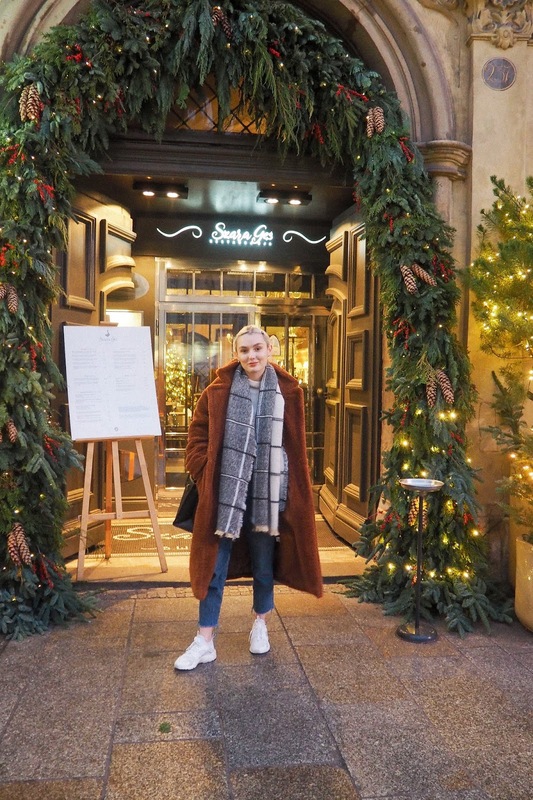 It had a truly magical atmosphere and is amazing for getting into the festive spirit before Christmas. 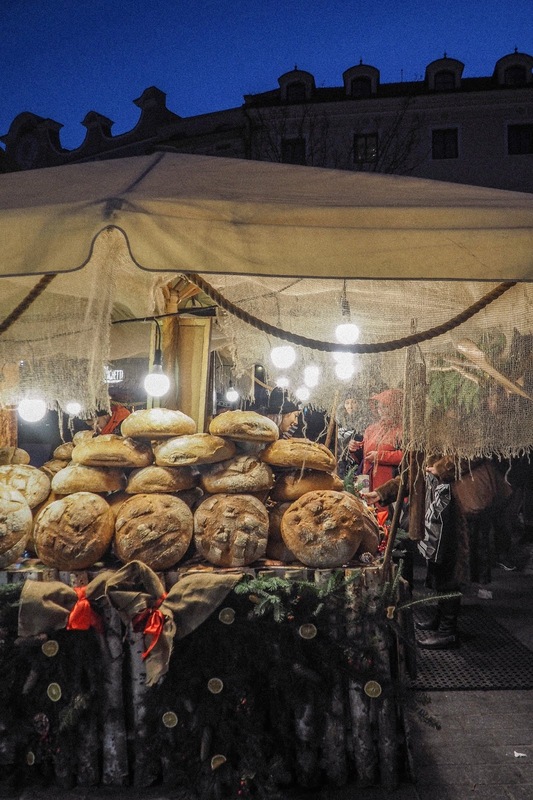 The markets start at the end of November and are on until after Christmas I believe! 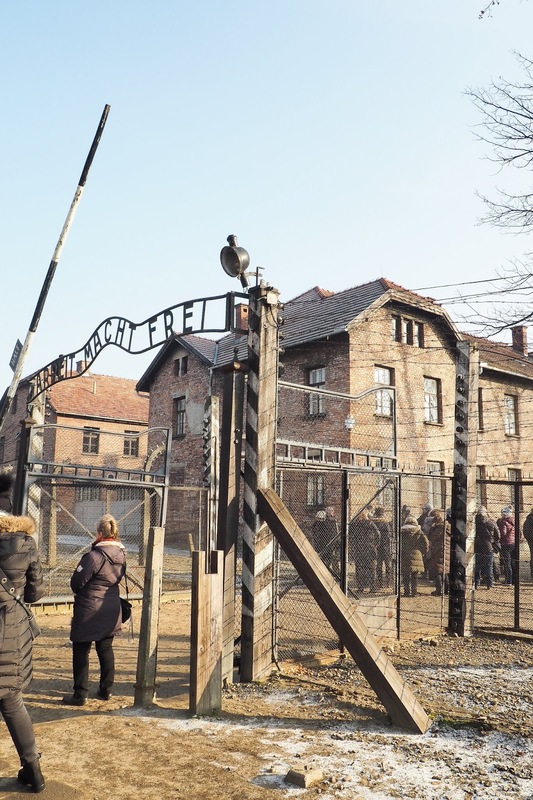 Finally, we have the most harrowing of the things to do in Krakow and that's visiting Auschwitz-Birkenau Concentration Camp. 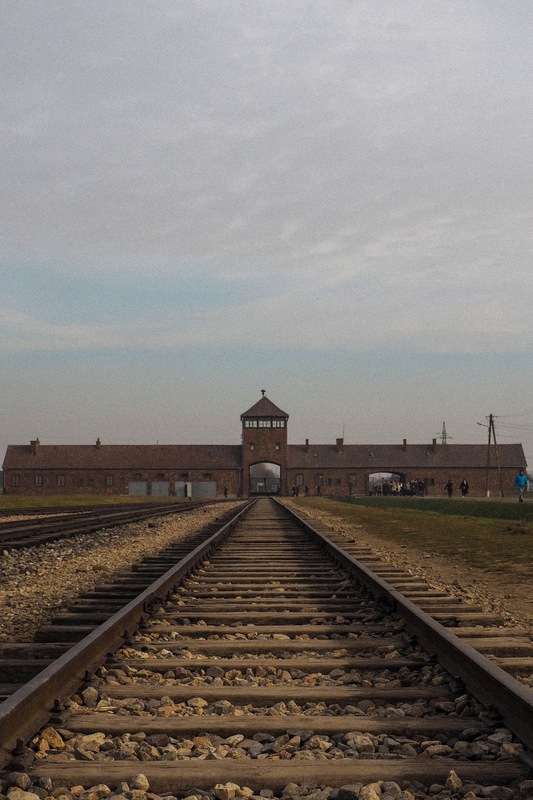 I think everyone knows that Auschwitz-Birkenau was the largest concentration camp in WW2 and it took the lives of over 1 million people. 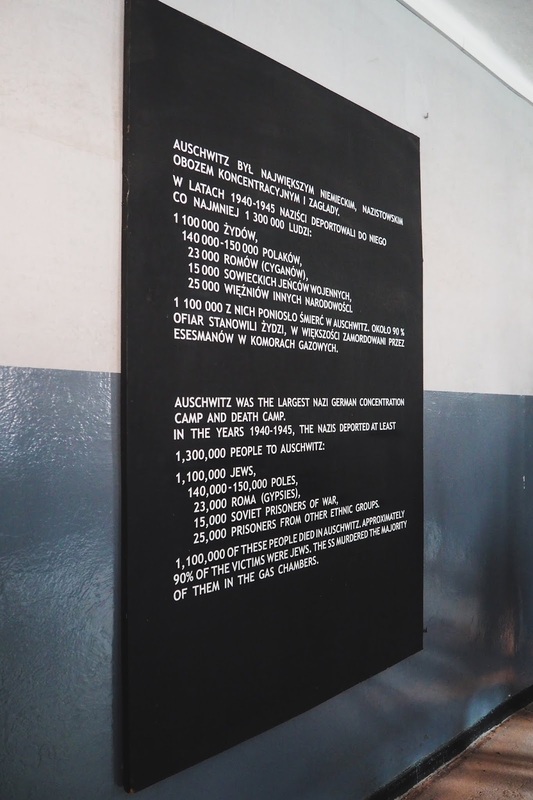 What remains of the camp has now been turned into a museum to educate people about the atrocities of what happened here, remember the victims and it is a truly harrowing experience to visit this place. I didn't take many photos for obvious reasons as it's not really what I would consider a tourist attraction and seeing people take smiling photos and selfies in front of the buildings honestly made me feel a bit strange. I had a sick feeling in my stomach the entire way round and it was a very upsetting day but I'm also glad for the experience and the education around the horrific things that happened here. It really is incomprehensible and learning about it in the abstract at school really is nothing compared to actually being here and learning about it. Our tour guide was brilliant, candid and really knew her history and I feel like I learnt so much from the visit. It really isn't for the faint hearted though and is very upsetting - don't underestimate the impact that it might have on you on the day. 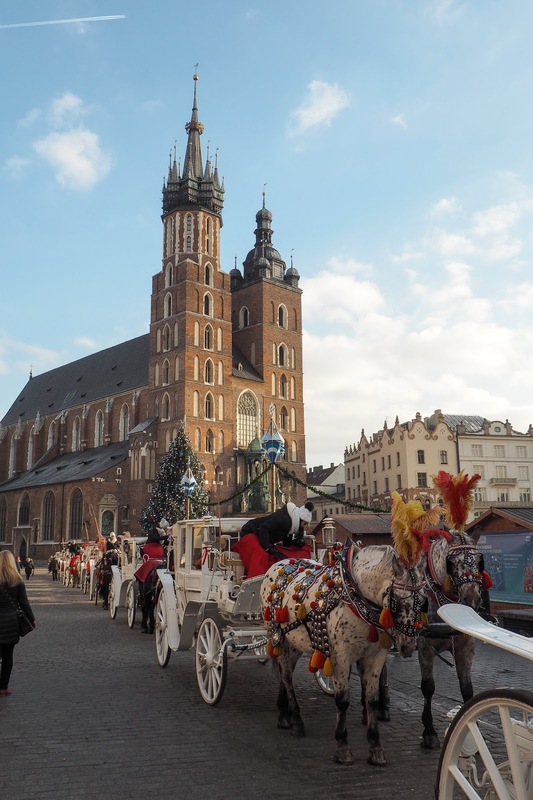 Have you ever visited Krakow? 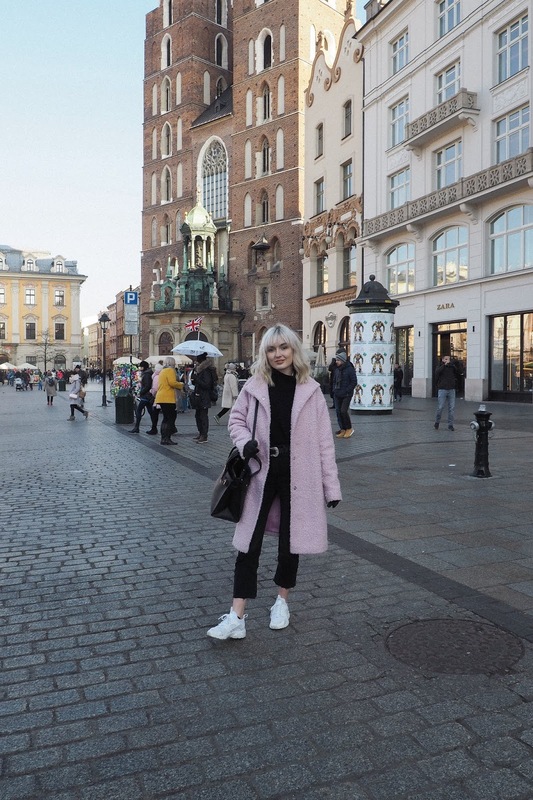 I've always wanted to visit Krakow and experience Poland in general! The history is incredible and the architecture is just beautiful. Sounds like you had an amazing time.